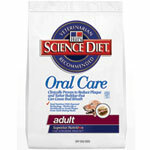 There are tons of pet products on the maarket for dental care or healthy teeth. Some work, some don't. The following products are what we offer at the clinic. The statements are directly off off the compaies websites. For dogs and cats of all sizes, C.E.T. Chews are easy to chew and digest and are tasty too! Select from beefhide for dogs or freezedried fish for cats. Chews have C.E.T. 's exclusive antibacterial system and time-tested Dual-Enzyme System to control plaque and eliminate bacteria buildup. 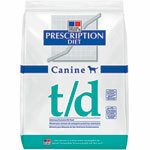 They can be fed as a treat once a day (on non-brushing days) or as directed by your veterinarian. Chews are the easiest method of care for pet owners but should be used with brushing for best results. The only dental bone that combines the plaque-fighting power of chlorhexidine and the trusted C.E.T. name in a convenient great tasting treat for dogs! C.E.T. Oral Hygiene Rinse combines 0.12% Chlorhexidine and Zinc Gluconate in a plaque-fighting formulation that may be used with or without brushing. It also contains Cetylpyridinium chloride for fresh breath fast. A unique bent-stem applicator is also included for easy administration.